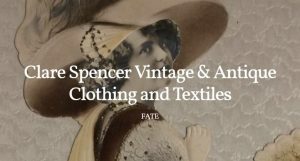 Clare Spencer worked in vintage from an early age before sourcing for major film costumiers. Alongside significant academic work in new fields of fashion history she started her own business providing historical pieces for high-end fashion brands as well the V&A museum. I have been doing clothing, costuming and textiles anthropology as long as I can remember. I think I became seriously interested when I was 9 years old as a geeky home schooled child. I am a dual citizen of America and the UK and have lived in London for the last 16 years. 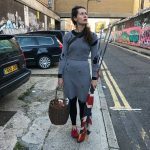 Previously I lived in America where I began as a 16 year old working in a vintage clothing shop and eventually became a buyer or sourcer travelling to Chicago and New York to pick from rag yards, charity shops, flea markets etc. All the while I have been collecting and archiving my own collection of clothing, costuming and textiles. I studied a BA of Art History and have been working for Sands Films for the last 10 years as a visual reference librarian creating visual research for their in-house reference library, which is similar to the Musee des Arts Decoratifs in Paris. The library uses images with a year only format. 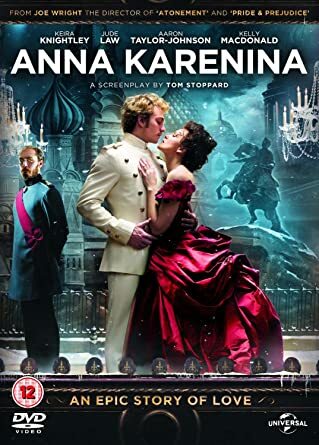 Eventually I became a freelance sourcer and buyer for Sands and started with the film Anna Karenina, in 2011. I graduated from my MA degree in History of Film and Visual Media. During my degree I was offered a position for the University of London in the Arts Department as a Film and Visual Media educator and curator as well as doing research and marketing for London Screen Study Collection, a historical film archive. I continued this work for four and a half years while running my business whereby I work with vintage clothing and textiles, although primarily antique clothing and textiles for fashion brands like Alexander McQueen, Chanel and Tom Ford right down to brands like J.Crew and Tommy Hillfiger. My business works with The Royal Opera House, English National Theatre and so on with costuming. We work with feature film, music video and fine artists such as Gavin Turk and Tracey Emin. Sometimes I get to sell to sell to museums such as the V&A, which is always great to be able to contribute to! I also lend long term to museums, educational institutions and generally support the study of antique clothing, costuming and textiles as applied art forms reflective of ethnography, sociology and socio-economic aspects of culture. Presently I guest lecture at Central St. Martin’s in the fashion department and for Westminster University. 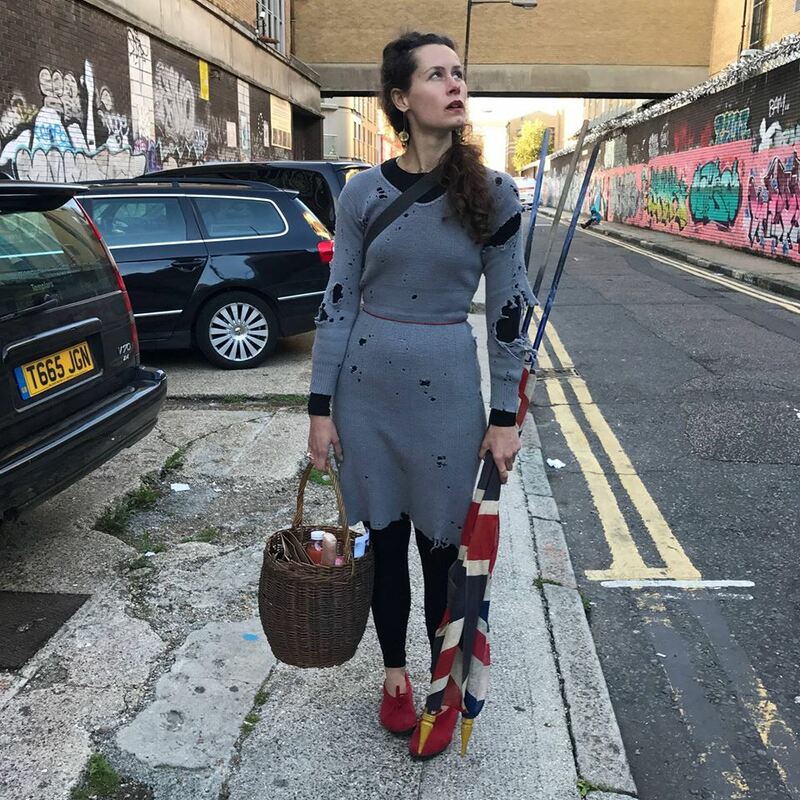 I have a showroom, “R E S E A R C H & A R C H I V E”, where I occasionally offer short courses in hand making clothing using antique techniques, which is taught by Master Tailor Doris Bartelt. My academic area of research is in semiotics and the theoretics of clothing, costuming and textiles mainly in collections, such as in institutions and in circumstances where individual pieces have fallen together to form an organic collection, or un-curated grouping. My PhD proposal focuses on this area of research and I will be enrolled as a part-time practice-based student while continuing to lecture. Currently I am curating an exhibition “Handworked Textiles And Vestments” which will open April 6th, 2018 at Karolyi Castle in Fehervarcsurgo, Hungary.